Fort Zancudo is one of the most popular spots for players to invade whilst online. One of the largest obsessions in GTA V is attempting the treacherous breach of the Fort Zancudo Army Base. Tanks, an infinite amount of enemies, anti-aircraft guns and jets are thrown together to create an often short but sweet thrill ride. This base has yet to be properly utilized in the first wave of online heists released for players, but the opportunity is there for something perhaps unique. Army Bases are used to hold military equipment, weapons of mass destruction, and secrets hidden from the populace’s view. Maybe some of these assets would pose a threat to Los Santos, so why not try to rob them. One of the most defining easter eggs in the regular single player mode is the discovery of UFO’s, linked to the army base and shrouded in mystery, could this make a return into a unique online heist? Regardless, whether it is UFO’s, weapons, or uncovering a closely guarded secret, this mission could lead to a lot of interesting scenarios. 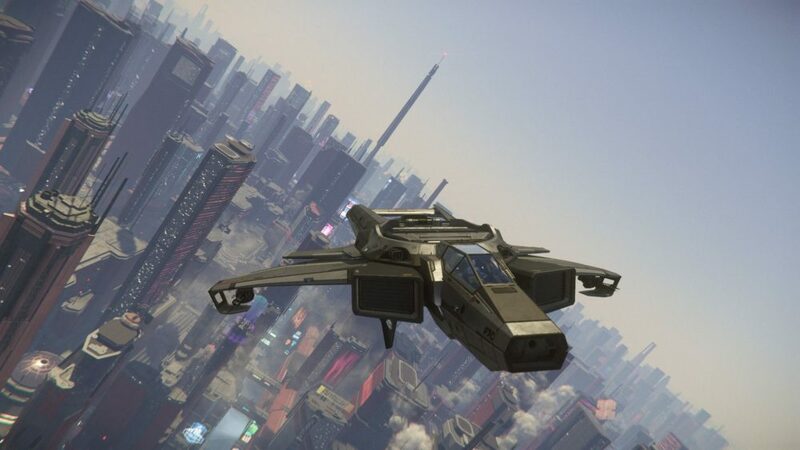 It would involve loading up with enough ammunition to take out a tank and stealthily sneaking into the base itself, before an extremely explosive escape to tell Los Santos the secrets their government hides. Fort Zancudo would have been a very obvious place to put a heist, and surprisingly Rockstar didn’t include it within the first Heist releases of GTA V. Players are now anxiously waiting for when it will be included and why.